Rainy season –you probably don’t want to stay in Japan in this period of time. 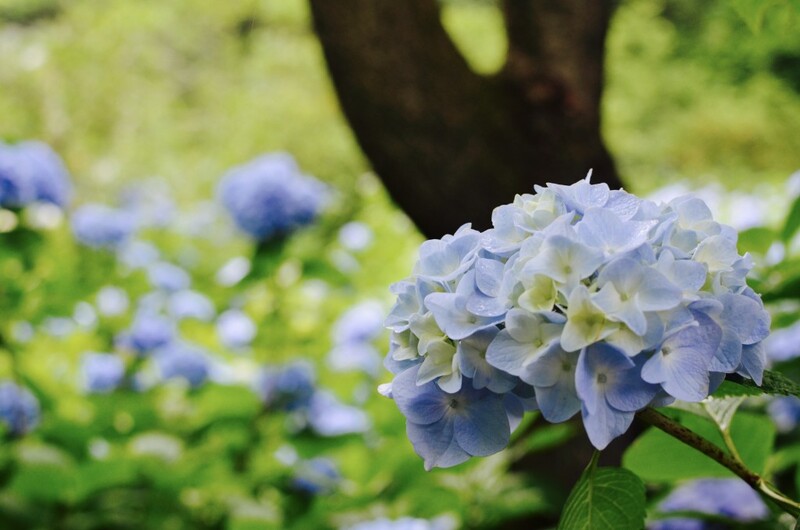 However there’s amazing thing you can enjoy around the month of June –the hydrangea flowers (“Ajisai” in Japanese). 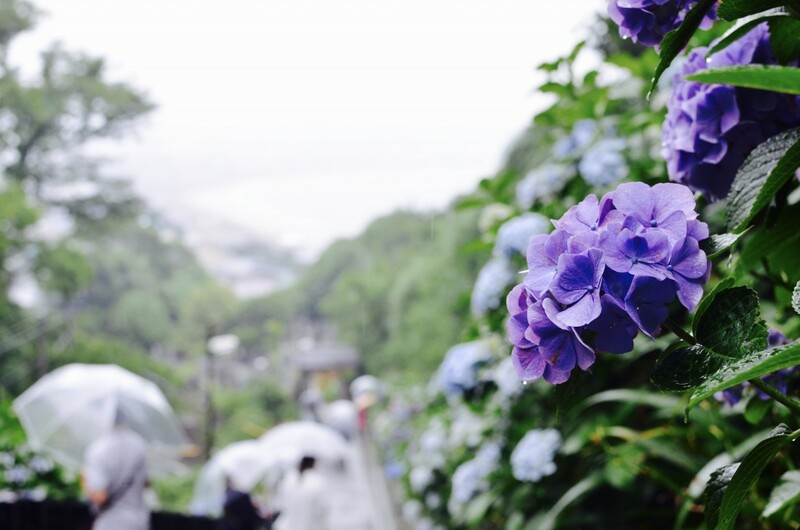 Find best place to see beautiful hydrangea flowers in Kamakura, old capital city of Japan where you can find traditional temples or great buddha. It’s only one hour train trip from Tokyo. It may be very very crowded during weekends, visiting on weekdays or in the early morning is recommended. Called “the hydrengea temple”, its blue hydrengea flowers particularly get more vivid after a light rain. Very famous spot and it’s defenitely worth a visit. Very photogenic spot. Take hydrangea pictures against the Yuigahama Beach. One of the most visited temples in Kamakura. 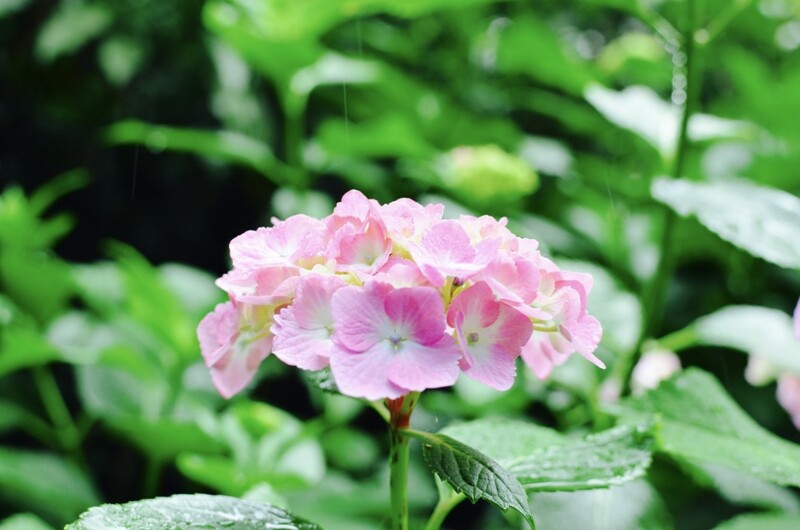 More than 2,500 hydrangeas are planted and its species are diverse and flowers are colourful. Enjoy hiking through Genjiyama Park watching beautiful flowers and ocean view. You may encounter a long queue as it’s very popular temple! Dress in traditional Japanese style (Kimono) and photoshoot against beautiful hydrangea flowers 🙂 Here’s a costume rental shop in Kamakura which I recommend. They also provide professional photoshoots in the place you like such as Meigetsu-in.